Society for Promoting Christian Knowledge (SPCK) 190mm x 125mm HB WT 350gms 184 pages + 4 pages adverts. Red/brown cloth and leather spine - cracked.Front hinge cracked. First Edition was 1866. This edition Undated but from the preface it appears to be the second edtion which appeared after the Zulu Wars in 1879 which the author describes as "an accurate account of Zulu Land as it was before the recent outbreak" So perhaps c1880's .Engraved frontispiece & plates: the narrative of a journey through Zululand, Mendelssohn I.93 calls this "a good account of the social side of the life of the Zulus at this period" The authors first name may also be Charlotte. Mellifont Press Ltd. 124 pp + ads and appendix orange paper cover 195 x 135 wt 200gms. Collection of articles by Graham Greene, Faith Compton Mackenzie, Evening Standard. VGC, an interesting wartime publication. Pub. Methuen & Co. London Ist Ed. 1955. This is 1959 Reprint. Panther 1975 paperback VGC some foxing tight binding. wt 4.2kg.In purple cloth. With notes by Rev.H.H.Milman. A new edition to which is added A complete Index of the Whole Work. Covers worn abd very sliught borer damage on some volumes but this to the covers only. Spines are faded and some damage maybe by cockroaches. Front spine of Vol 1 is partially split externally. Binding a little loose but all clean inside with some foxing etc. Blue cloth binding faded on sides and spine damaged by silver fish.Otherwise tight. Royal Exchange London 1902 hb 1st Ed green cloth with gilt 190mm x 125mm x 400gms 130pp gc and clean and firm some foxing. "A Note on the Occasion of the Bicentenary of The Royal Exchange assurance. Publisher: London: Jupiter Books, 1976; Cloth. Very Good/Very Good. First Edition. 8vo. An illustrated book of menu cards from one of the famous London clubs . 160pp. Wt 600gms Along with its lesser role of presenting a brief history of the Savage Club, the books main focus is showcasing the menus for its dinners over the years. Many were designed by such as Heath Robinson, Phil May and George Belcher and comprise witty cartoons and charicatures of the guests at those dinners. PARKER M.St.J. and Reid D.J. Blandford Press 1972 pb ex lib plastic cover Fair/good.446 pages 210mm x 150mm wt 1kg. Century publishing 1982 1st ed. sc gc 800gms. The Lord Mayor and Corporation of London have been entertainedwith lavish hospitality by the city of Paris and the French Government during the past week. The festivities .culminated on Monday, when the Lord Mayor in his state carriage, attended by Aldermen, Sheriffs, Swordbearer, Mace- bearer, and City Marshal, paid an official visit to the President of the Paris Municipal Council at the Hotel de Ville, was re- ceived by the President at the Elysee in the afternoon, and in the evening was entertained at a great banquet attended by the Prime Minister, M. Sarrien, the Presidents of both Chambers, and practically all the heads of the great Government Departments and Services. Book Club London 1974 hb maroon cloth dj VGC 724p po inscrip 220mmx140x1.2kg ISBN: 0333124995 Winston Spencer Churchill was an extraordinary combination of soldier and statesman. Of aristocratic birth, he had a long military career, as well as a chequered career in politics until he received the call to become Prime Minister in May 1940. This is his biography. Studio Editions 1994 hb dj near fine isbn1851703098 224 pages 340mmx230mmx1.6kgs.With an Introduction by J.P.B. BROOKE-LITTLE, Norroy and Ulster King of Arms.Reissue of 'Some Feudal Coats of Arms' from 1902. Over 150 colour plates and many line drawings and coloured illustrations of heraldic shields. Publisher: London: William Heinemann, 1969; Hard Cover cloth.gilt. Very Good/Dust Jacket. First Edition 218 pages wt 400gms 220mm x 145mm. Inscription on ifc.Looks at the effects of illness on world and military leaders. This is Volume IV of the authors Works - The Standard Edition in18 Volumes. The New York Times 1915 HB no dj cover partially detached and spine missing. 240mmx160mmx2.3kg 1237 pages. A little loose but clean inside and complete. A massive Tome. Numbers 1 to 6. 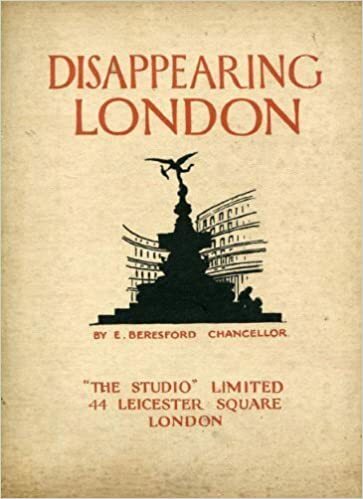 Speeches and articles by all the famous personalities of the time incuding Bernard Shaw, Arthur Conan Doyle, Kaiser Wilhem, Rider Haggard, H.G.Wells, James M.Beck , Charles W.Eliot, Hilaire Beloc, Arnold Bennett nd many more accompanied with b/w photographs. Eyewitness accounts of the battles together with maps. 48 pages of photographs. Contemporary cartoon section of 26 pages. A good copy for rebinding. Rare. Extensive b&w. illus. Atlantic Slave trade from Africa, slave-ships, plantations in the West Indies , Liverpool merchants. This is the fearful story of the Atlantic slave trade.